junk electric appliances, glue guns, glue sticks, steel pipes, a camera, etc. 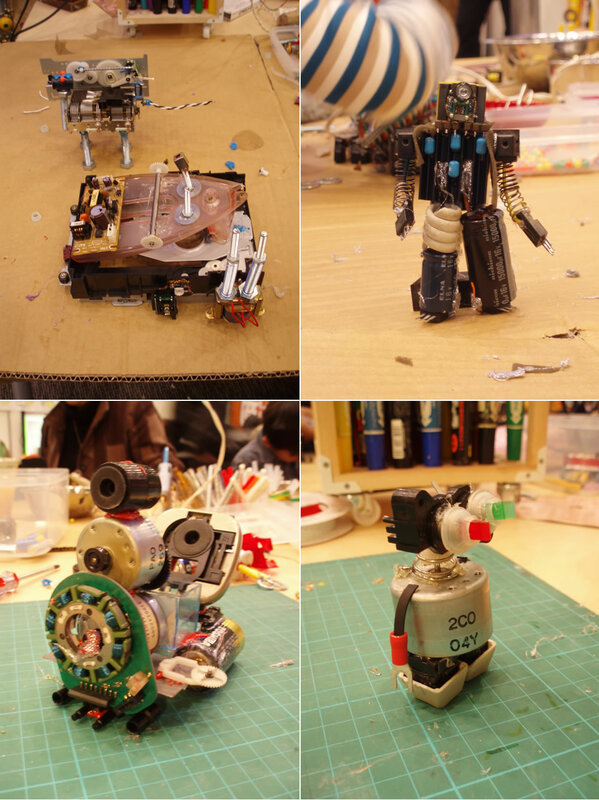 of a kind of assembling factory for creating robots. 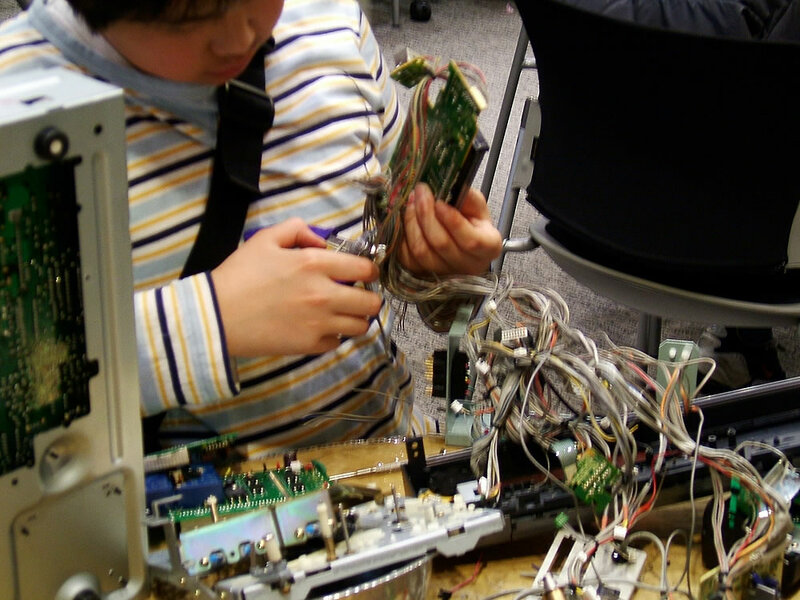 The place for choosing and sorting out junk electronics and appliances and picking favorite parts out . 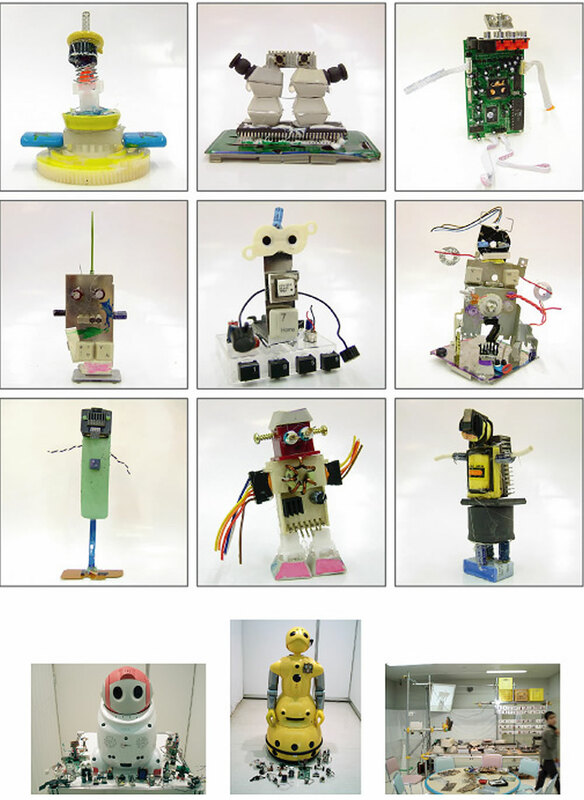 The place for assembling parts into their robots. Click! 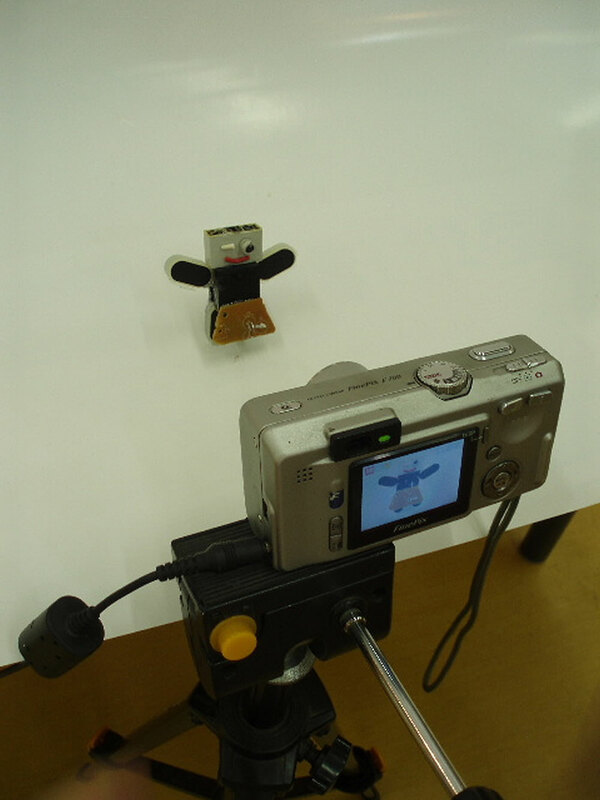 shooting robots.The participants could bring their robots home. The images of them were installed onto the device. Some examples of the workshop. 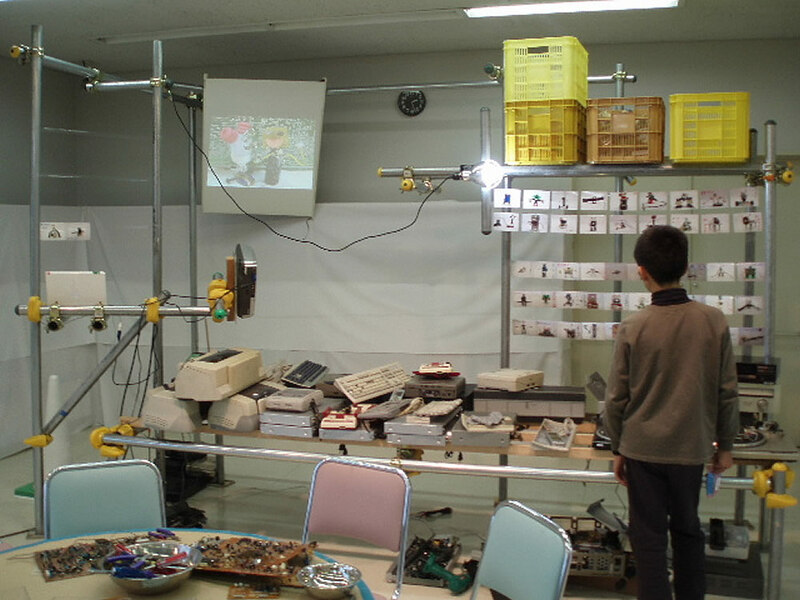 The lower images were the pictures co‐starring children's robots and the latest robots exhibited in EXPO. 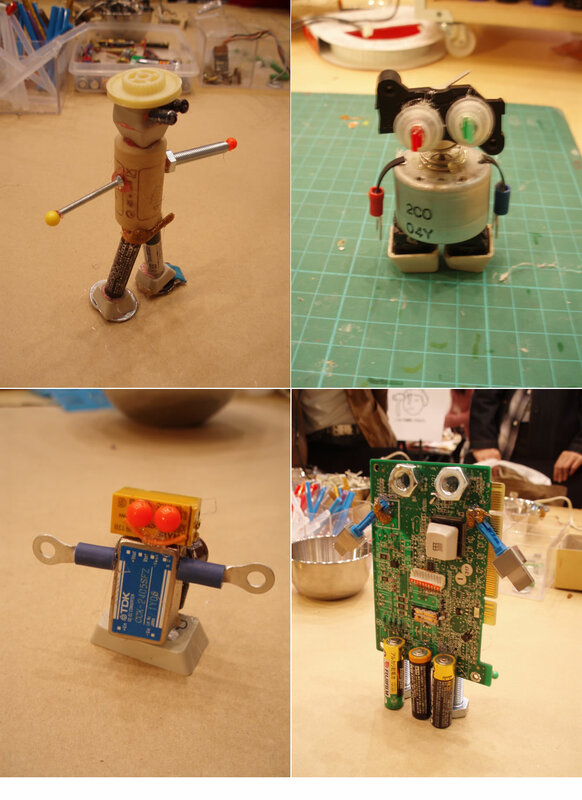 These robots were made by children in our workshop at "Workshop Collection 2006~ Akihabara Cross Field Grand opening event" at Dai Bldgl.,Tokyo. We collected a lot of junk appliances from electrical equipment shops at Akihabara which was world-famous about Electronics Quarters, Hardware, Software and Otaku Culture. This project event was the beginning of creating this workshop and installation.